This performance was created as a critique of the labelling of art, more specifically the over intellectualising inextricably linked to museums and the practice of labelling. Inspired and vivified by combining work by Joseph Beuys and Marcel Broodthaers to highlight the death of thought in the enjoyment of art. 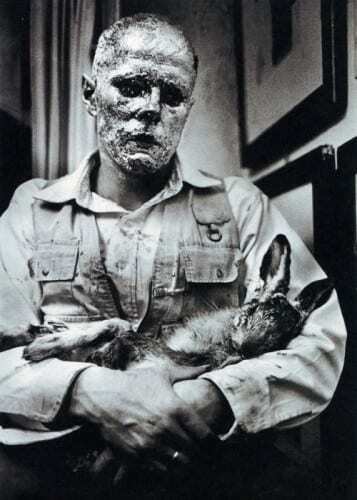 It was Joseph Beuys’ piece How to Explain Art to a Dead Hare that most influenced the final product. 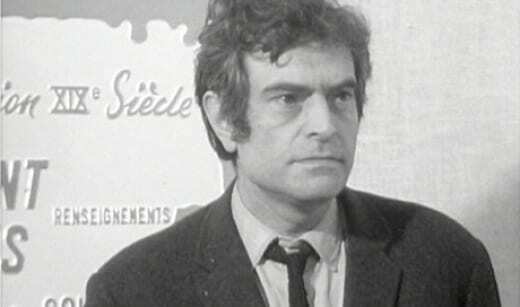 The methodology of his piece, as well as Marcel Broodthaers’ Museum of Modern Art, Department of Eagles, were present in my performance, as ironic spirits, haunting a performance which partly criticised the lack of originality in the current artistic vichyssoise. The setting being a museum, as it was for both Beuys and Broodthaers before me, allowed for a direct and explicit criticism of the institutions handling of art. Through uniformly placing the postcards of famous art on the wall, an allusion to Broodthaers’ piece, I roughly appropriated the display techniques used by museums, though the absence of a label eliminated the overarching authoritarian voice. 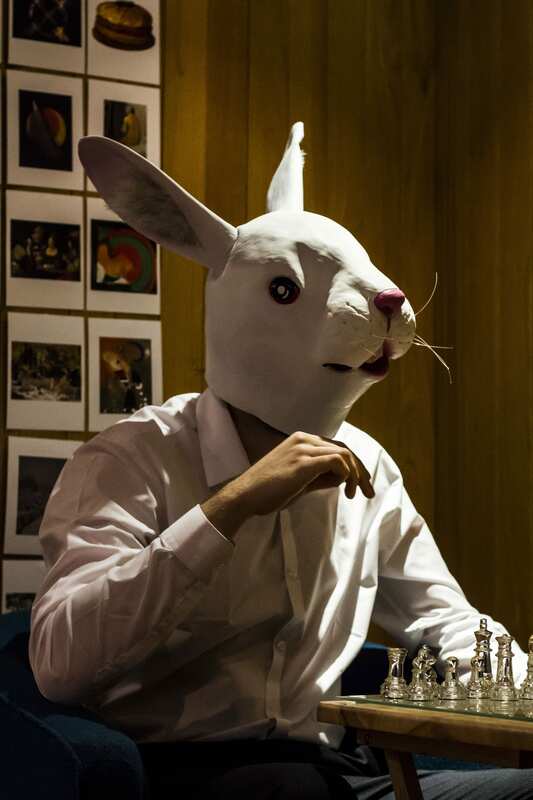 The piece included a narrated video of a decomposing hare, a game of chess, a golden skull belonging to a hare, and ninety postcards adhered to the wall. The performance I created took place on the 9th May, lasting three hours. 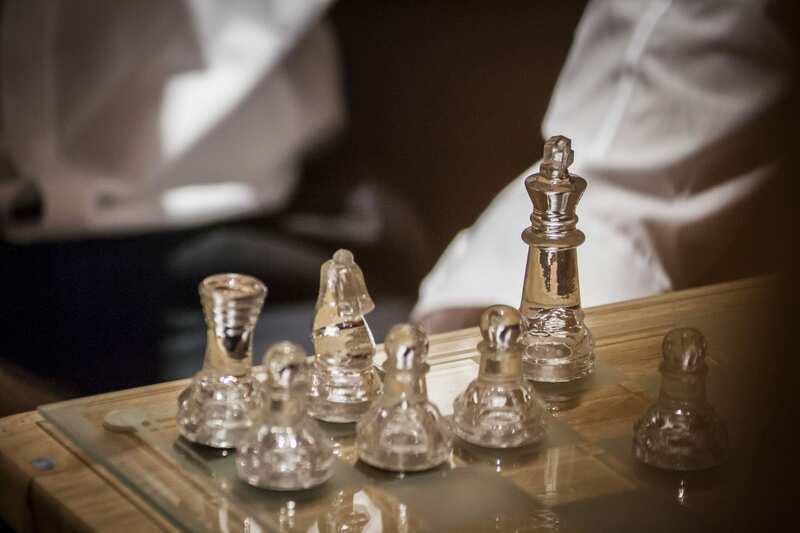 The piece was multi-faceted, reducing the reliance on audience participation, although it was still necessary for both the game of chess and the postcards. In this environment we are surrounded by labels, with every label attempting to intellectualise the art. With so much information being forced into our minds, do we actually think for ourselves when looking at art? I invite you to enter and view this label-less exhibit, and think. Then when you are ready, remove a picture from the wall; you will see it is already addressed to me. Please take the picture home with you, write a thought about it on the back, and post it to me. And if you are inclined, please sit and play a game of chess. The development process was long, and not all moments could be condensed into this short blog, but here are some key moments in the piece’s development. It is important to bear in mind that since the blog posts articulate the journey of developing the work, many of them remain in the present tense in order to position the learning in its context. A cold winter’s morning on the 28th of January is when I took my first step into the Usher Gallery and Collection. My first impression of the space was promising, as I knew there would be plenty of history for me to draw upon to create a performance. A museum is a fascinating space to perform in. An institution which teaches through its displays, but who decides what it can and can’t teach? Charles Garoian compares museums to Memory Theatre, whose “principle function was to present empirical knowledge” (Garoian, 2001, 235), and now the “didactic, monologic performance of its discourse of knowledge [has been] inherited by the modern museum” (ibid). 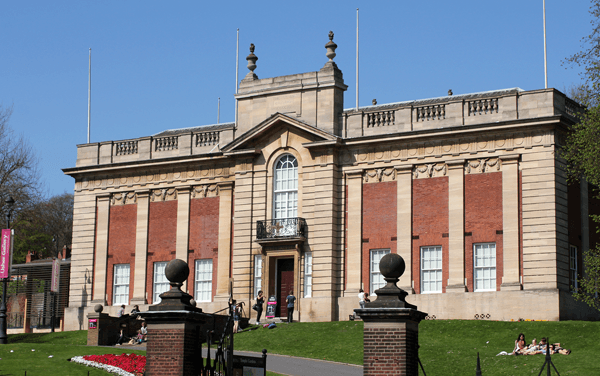 Before going I had already researched a little into the history of the museum and gallery, primarily James Usher’s use of the famous Lincoln imp in many pieces of jewellery to gather his wealth. At first I thought this history would be the basis of my performance, but as I began to explore the gallery and museum old thoughts on the nationalist nature of museums began to surface, and I noticed the lack of diversity of the art and artists on display. During a quick investigation of the Usher gallery I found that there were 84 named artists, only 14 of those were women, and every single one of them was white, except F. E. Martinez. 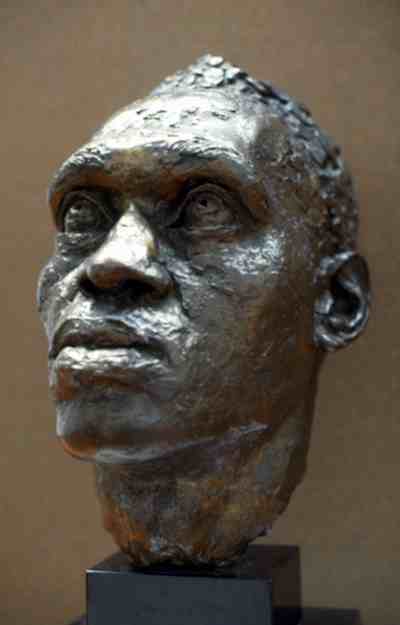 One of the few representations of a non-white face, a bronze bust of Paul Robeson by Jacob Epstein. This lack of diversity is now instead what I believe will be the main influence on my performance, as it is an issue incredibly prevalent within many industries, especially the arts and theatre. Garoian, C. (2001) Performing the Museum. Studies in Art Education, 42 (3): pp. 234-248. The Concept. Coco Fusco and Guillermo Gómez-Peña planned to live in a golden cage for three days, to be displayed as Amerindians from an undiscovered island in the Gulf of Mexico called Guatinau. The artists were exhibited performing “traditional tasks”, which included sewing voodoo dolls, watching television, lifting weights and working on a laptop. 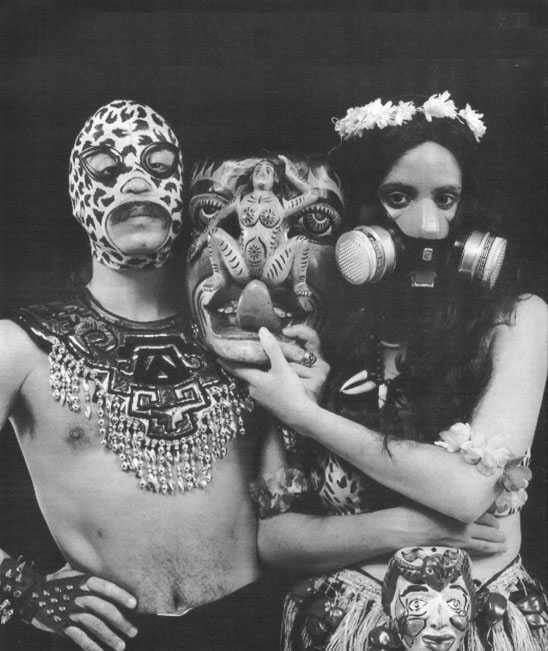 One of the most surprising findings from this performance, which neither Fusco nor Gómez-Peña anticipated, was the number of people who believed the exhibit to be real. Over fifty percent of the spectators believed that the artists were natives of Guatinaui. This was not the intention of the piece “our original intent was not to convince people that the fiction of our being Amerindians was a reality. We understood it to be a satirical commentary both on the quincentenary celebrations and on the history of this practice of exhibiting human beings from Africa, Asia, and Latin America in Europe and the United States in zoos, theatres, and museums” (Fusco, 1993). So why did so many believe the performance? It’s simple. People trust museums. With nothing more than a chronology, highlighting the history of exhibiting non-western people, and a fake Encyclopaedia Britannica entry and map of the Gulf of Mexico showing Guatinaui, the artists created “fact”. This ability to legitimise the truth is a dangerous power, especially when coupled with the exhibition of the “other”, which museums have long held. It allows for these institutions to aid certain values and oppress others. As Diana Taylor states “Since their inception in the 19th century, museums have literalized the theatricality of colonialism taking the cultural other out of context and isolating it, reducing the live performance of cultural practice into a dead object behind glass. Museums enact the knower/known relationship, preserve (a particular) history, (certain) traditions, and (dominant) values. The monumentality of most museums emphasizes the discrepancy in power between the society which can contain all others, and those represented only by remains, the shards and fragments salvaged in miniature displays” (Taylor, 1998, 161). Therefore, museums which are often owned and managed by the elite of our society, can perpetuate hierarchies which allow for racial or gender superiority. Fusco, C. (1993) Artists in Conversation: Coco Fusco and Guillermo Gómez-Peña. [Interview] Bomb Magazine. Interviewed by Anna Johnson. [Online] Available from: http://bombmagazine.org/article/1599/ [Accessed 15 February 2015]. Taylor, D. (1998) A Savage Performance: Guillermo Gomez-Pena and Coco Fusco’s “Couple in the Cage”. The Drama Review, 42(2) 160-175. Last Wednesday the class pitched our performance ideas to Conan and Ash. I pitched the idea to ritualistically remove the labels accompanying the artwork in the viewpoints gallery, and replace it with my own readymade labels, which would tell the value of the artwork, in an alternative fashion e.g. “This piece is worth 300,000 hours of a cleaner’s salary at the usher gallery”. I wanted this to clearly consider the value of artwork. Once I had replaced the labels I would then move into the back room of the viewpoints gallery, where I would converse with members of the public, asking questions such as “what is the most valuable thing in your life”. I wished to start fluid, casual conversations, much like Oreet Ashery’s Say Cheese (Ashery, 2001-2003). I would’ve recorded these conversations, and I hoped to gather many different reactions and interactions. Once the conversation had concluded I would give the participant a chocolate coin, as a token of value. My performance was to consider the Museum as an institute, the legitimising voice of the museum and the commercialism and commodification of art. I am unable to pursue this specific performance as museums prohibit the disclosure of the monetary value of their displays, once they enter the building they are then only supposed to hold cultural value. This code of monetary secrecy is a surprising one to find in the museum environment, as it is a site of explicit labelling, but what would be expected to be one of the most valuable pieces of information, in our capitalist society, is withheld. Perhaps keeping this knowledge private is done so that the pretence of museums as a cultural experience can remain, covering up the cultural capital attached to the site. Now considering Marcel Broodthaers’ Musée d’Art Moderne, Département des Aigles (Museum of Modern Art, Department of Eagles), “a conceptual museum which manifested itself in many guises and locations between 1968 and 1972” (McShine, 1999, 62). The driving influence on my piece is Broodthaers’ department of finance aspect of his performance, where he marked gold ingots with an eagle insignia and then sold them for twice their worth. This act increased my curiosity concerning the commercialism of art. The Musée d’Art Moderne, Département des Aigles was created during the “political protests by students, artist and activists against government controls of cultural production and against the increasing commercialisation of art” (ibid). This had me thinking about how art receives its value. Art becomes valuable once a label is attached. There are lost masterpieces which exist in attics and archives, and are valuable to no one. It is only once the piece is found, and confirmed as authentic and labelled as genuine that any value is then given. The idea that value is a construction is not new, but I think through the commodification of art this practice is perfectly illuminated. I hope to incorporate the practices of Broodthaers and other artists in my performance, to highlight the restrictive climate museums create, causing repetitive art to become common. Ashery, O. (2001-2003) Say Cheese. in The Many Headed Monster. London. Live Art Development Agency. McShine, K. (1999) The Museum as Muse: Artists Reflect. New York: Museum of Modern Art. What is Site Specific Performance? I had put off writing this entry for a long time as I wished to have time to fortify my understanding of site-specific performance, and with the performance looming I believe I’ve finally had enough time to contemplate and create something unique to my site. So what does this mean to me? The use of exploring spatial and material histories makes site-specific performance a potent tool to recall and establish identities that are heavily linked to their own materiality and spatiality, e.g. gender, class, race, occupation. I believe this capability makes site-specific performance far more able to affect the people of a specific community/area than traditional theatre. Site-specific performance is also excellent at engaging with an audience or participants, as they are often local to the site, and therefore implicated in the history you may be exploring. When you criticise or celebrate a site or institution via performance, the site’s connection to the invested local audience can create a far more compelling performance than one which holds only tenuous links to all participants. This personal investment of the audience in the site can cause tension between performer and audience, if a slanderous history in an exalted site is explored. In the context of the museum which we are performing in, we had major decisions to consider in what way we would perform the site. 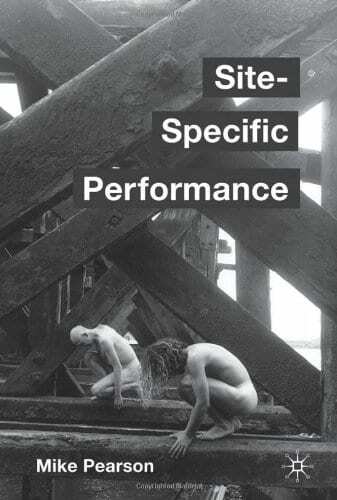 Whether our performance would be “site-sympathetic” (Wilkie, 2002, 150) – an existing text physicalised in a specific site, “site-generic” (ibid) – performance which is created for a number of similar sites, or “site-specific” (ibid) – performance created for one specific site only. My performance is a critique of museums as an institute, classifying it as site-generic performance. This understanding of what site-specific performance can do informs my creative process immensely, and although there is so much more to the definition of site-specific performance, these points are most relevant to myself. Harvie, J. (2005) Staging the UK. Manchester: Manchester University Press. Much has developed, here is what will be present in my performance. 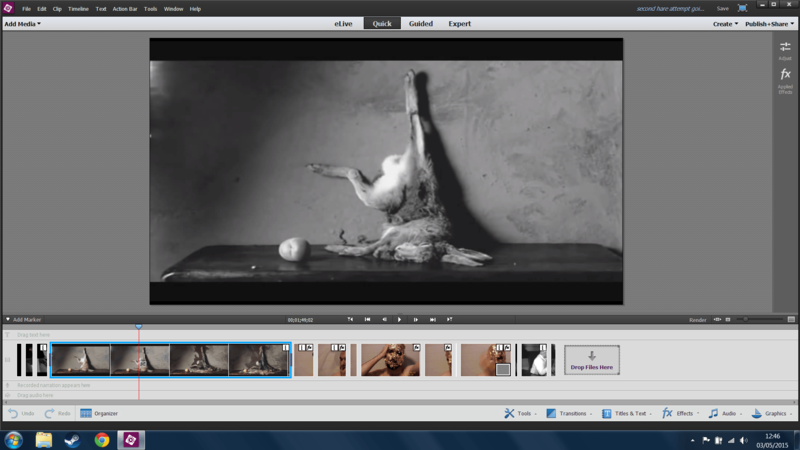 The hare is taken as a representation of experiential organs, a concept Beuys explains here: https://www.youtube.com/watch?v=Mo47lqk_QH0. 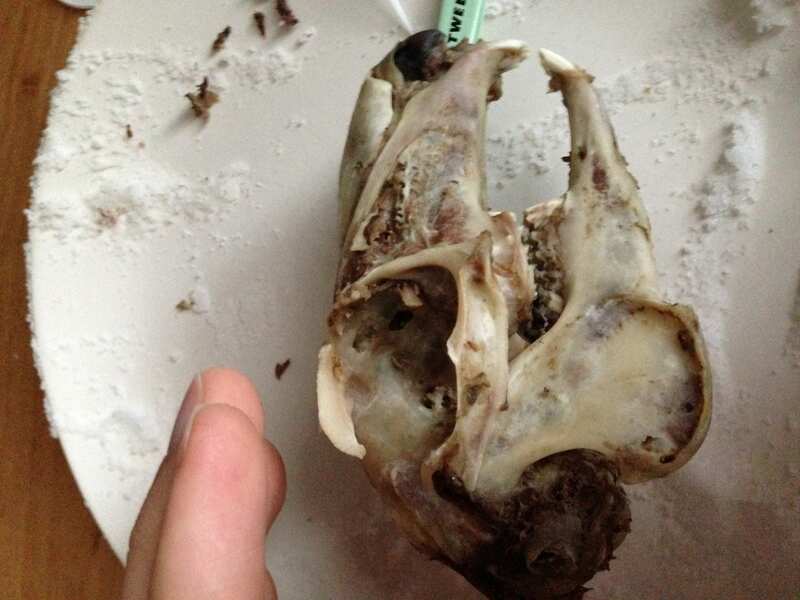 By explaining the hare decomposing, I align the act of explanation with the process of degradation. 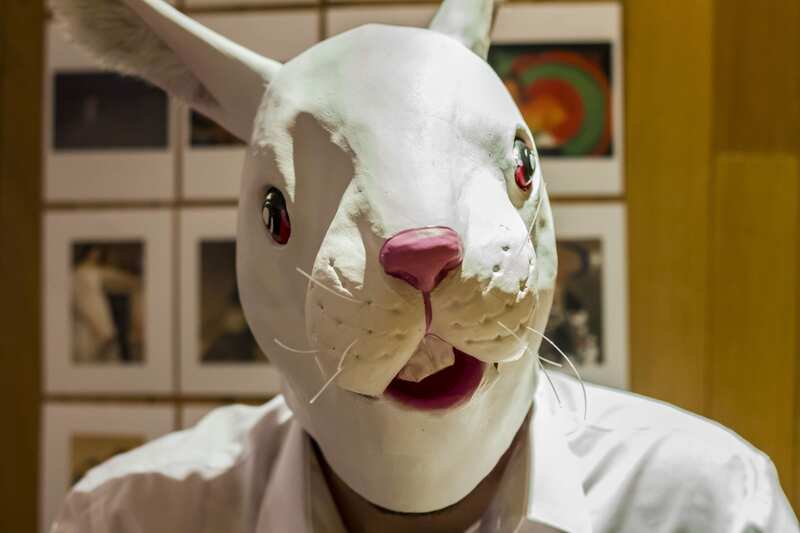 If the hare is seen as representative of experiential organs, such as the eyes and ears, this video symbolises the dwindling practice of experiencing art on a reactionary level. Now art is uniformly intellectualised through explanation, rather than uniquely experienced through sensory organs. When showing myself reversing the process of removing the gold leaf and honey from my face, I re-acquire the organic thought that the non-decomposing honey represents, and the power which the gold embodies. The way in which this act is understood is left to the audience. Whether they believe I have removed thought by being influenced by others, or whether it is seen as a symbolic representation of continuing Joseph Beuys’ piece. 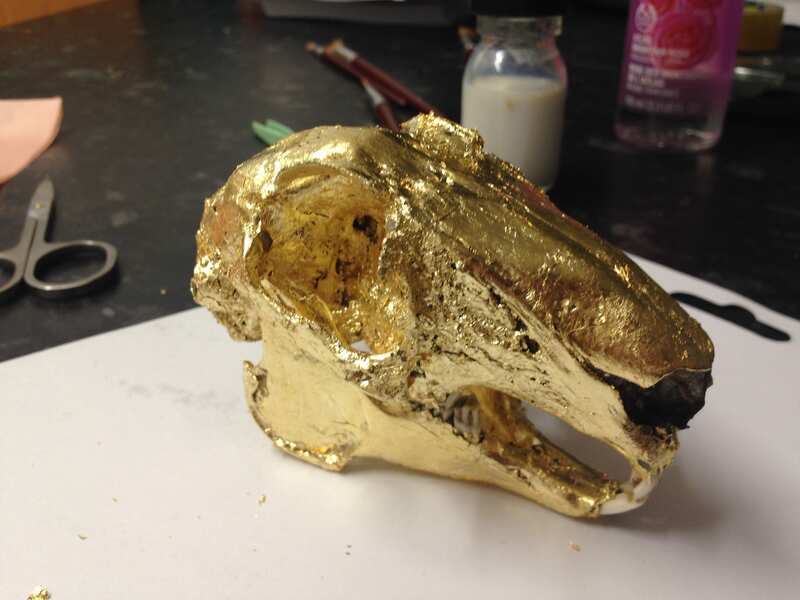 The golden skull of the hare is a comment on how value is assigned to artwork. The increasing practice of defining art through labels is an indication of value i.e. art has no value until it is labelled as having cultural worth. Due to my piece analysing the dead hare, the hare becomes the subject of explanation, and consequently the most valuable object in the room. The label-less pictures have little value and may be taken off of the wall by anyone. 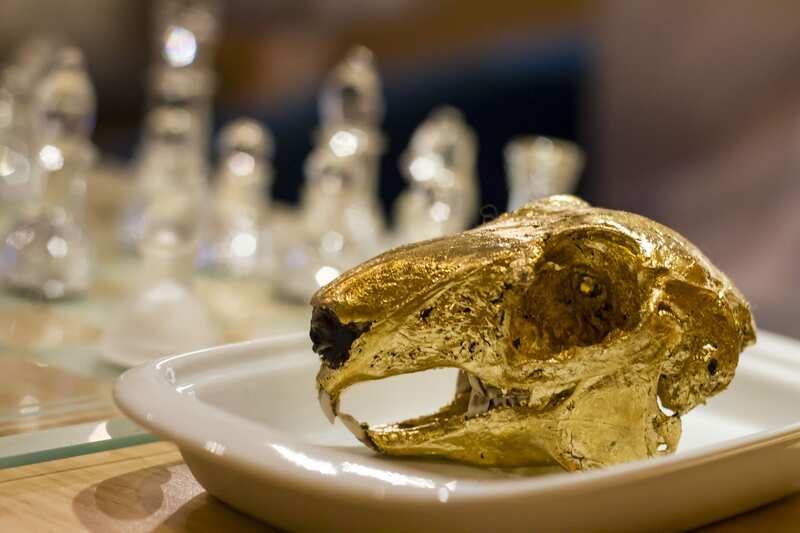 By combining the video of the decomposing hare and the golden skull, there is a sense of decaying into value; the skull has been explained into having surface worth. When talking about the degradation of value in art, Beuys asked “why should the work itself decline in quality or value? … The work remains on the wall until the moths get at it. Even then, though, there are still photographs or documents left” (Beuys and Kuoni, 1990, 172). Those photographs are simulacra, and cannot be spoken of as if original. I believe artwork can decay into dust, and this golden skull has degenerated by being explained to death. Beuys, J. and Kuoni, C. (1993) Joseph Beuys in America: Energy Plan for the Western Man. New York: Da Capo Press Inc. The game of chess was inspired by Marcel Duchamp, who famously questioned what it is that defined art by exhibiting Fountain in 1917. 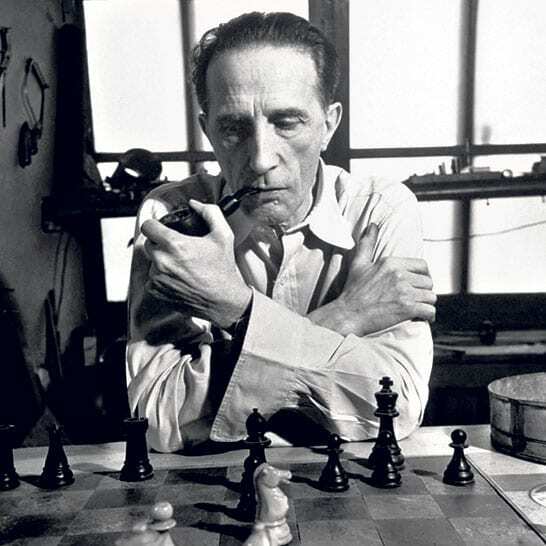 Later in his life Duchamp left the art world in pursuit of chess. Duchamp stated that it “has all the beauty of art – and much more. It cannot be commercialised” (Duchamp, 1952). He later went on to explain that “the chess pieces are the block alphabet which shapes thoughts” (Desjarlais, 2012, 77). I wanted to interact with the audience on a thoughtful level, so I decided to play chess with them. Due to the possible length chess games can span, I made sure to make it clear that the participant could leave whenever they wished, and the next person would take over their game. This rule of not resetting until the game has concluded lent itself to the performance ideology. In having people resume another’s game, there was difficulty in adjusting to the situation, which contributed to every participant losing that day. This parallels the disunity that can arise when art is explained and the intellectualism of someone else is forced onto a person, possibly triggering an ambivalence and disregard to art, as they feel they do not understand it. 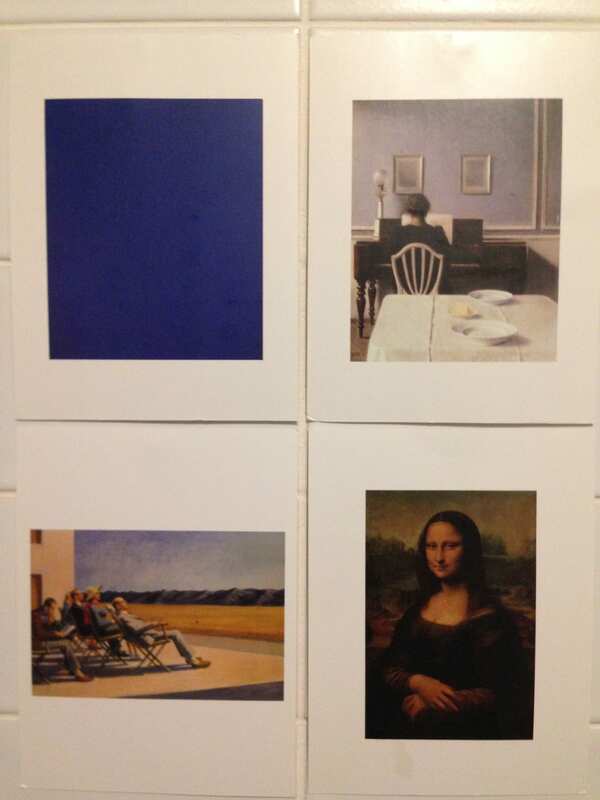 The postcards were influenced by Marcel Broodthaers’ Museum of Modern Art, Department of Eagles. His piece was a reaction against art in a capitalist society, and suggests museums, whose purpose is to collect and preserve, resist the “demands of capital by rendering [useless] the objects [they] form into a collection” (Goldwater, 1989, p.72). This method of eliminating economic capital is futile. Instead it assigns a cultural capital, as well as an intellectual capital; “for the true collector every single thing in this system becomes an encyclopaedia of all knowledge of the age” (Benjamin, 1982, p.271). Placing the pieces of “art” on the walls only to be removed by the participating public, subverted the sanctity a museum creates around art; you can look but may never touch. Asking the public to then write their own thoughts onto the postcard and send them to me, created a contract between myself and the participants, as I wished to have their uncontaminated thoughts be the documentation of the performance. Benjamin, W. (1982) Das Passagen-Werk. Frankfurt: Suhrkamp. Desjarlais, R. (2012) Counterplay: An Anthropologist at the Chessboard. 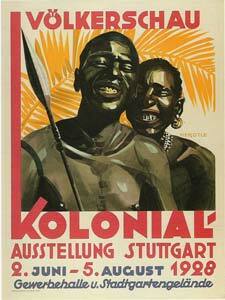 London: University of California Press. Goldwater, M. (1989) Marcel Broodthaers. New York: Rizzoli International Publications. The final performance was an interesting experience. I was wearing a very restrictive mask throughout, so my vision was limited to the chessboard only, and my depth perception was weakened. This made the task of playing chess tricky, but by moving slowly play wasn’t impaired. 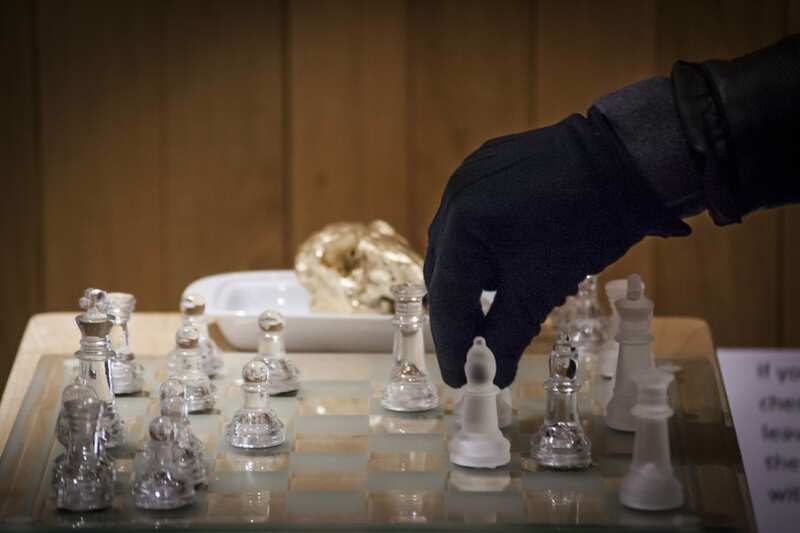 The act of playing chess was my only task throughout the three hours I was sat there, and even then winning was not the objective, I simply wanted people to experience their own thought in a space which doesn’t cultivate it. From what I could see there was a large number of people who visited the performance, although only eight interacted. By the end of the three hours I had completed six games of chess, playing a total of eight people, and eight postcards were removed from the walls. As of this point, five days after the performance, four postcards have returned to me. 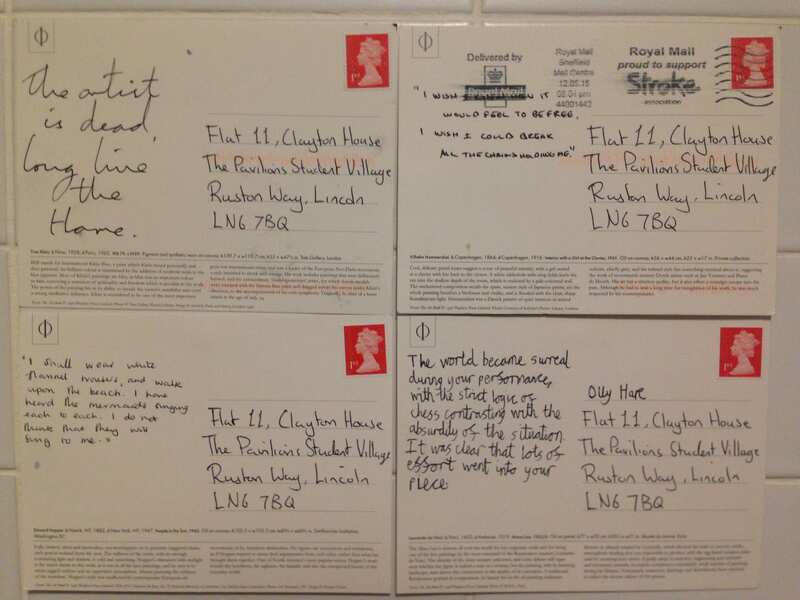 The postcards had a number of responses, from “The artist is dead, long live the hare” to quotations from other forms of art such as poetry or song lyrics. Archiving this performance through both the postcards and the video means the documentation spans the “shift from hand written notes to computer generated designs” (Pearson, 2010, 192), which is perceived as evolving documentation practices. The digital and physical artefacts of my piece create a fragmented memory of the ephemeral performance, much like the gradual decomposition of art into purely valuable remnants in a museum. Through engaging with the space there has been developments in myself about not choosing the more regular and safe options, about using ideas from the past, but not being over-reliant on them and allowing my own thoughts to come to life. How performance can be applied to a space and illuminate non-dominant thoughts or histories has become more apparent. The measurement of success in the performance is difficult to judge, but considering that what I desired to transpire transpired, I would call this piece successful, though further development would take place if I were to re-perform it. Pearson, M. (2010) Site-Specific Performance. Basingstoke: Macmillan. Halves, T. (2012) Camus or Beuys – What can we learn from a hare? [online] Available from: https://islifeabsurd.wordpress.com/category/joseph-beuys/ [Accessed 12 May 2015].